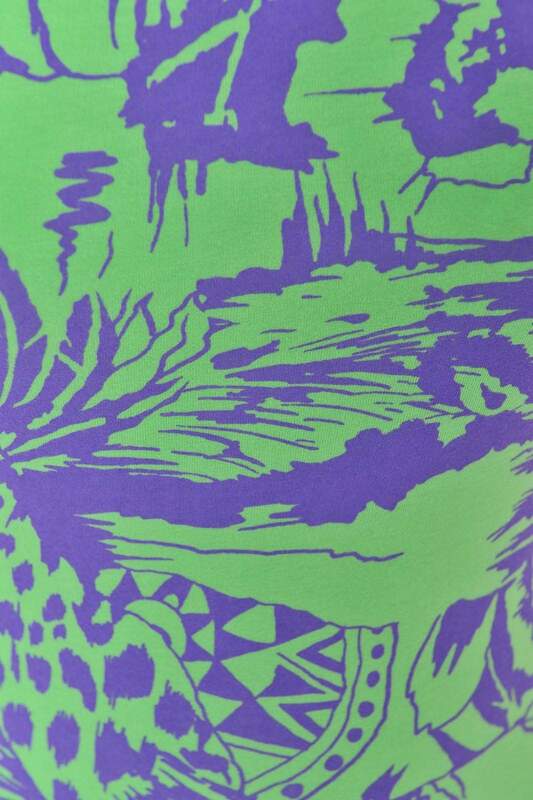 Printed bodycon Motel mini dress in our green and purple 'Tiger Life' exotic tropical print. 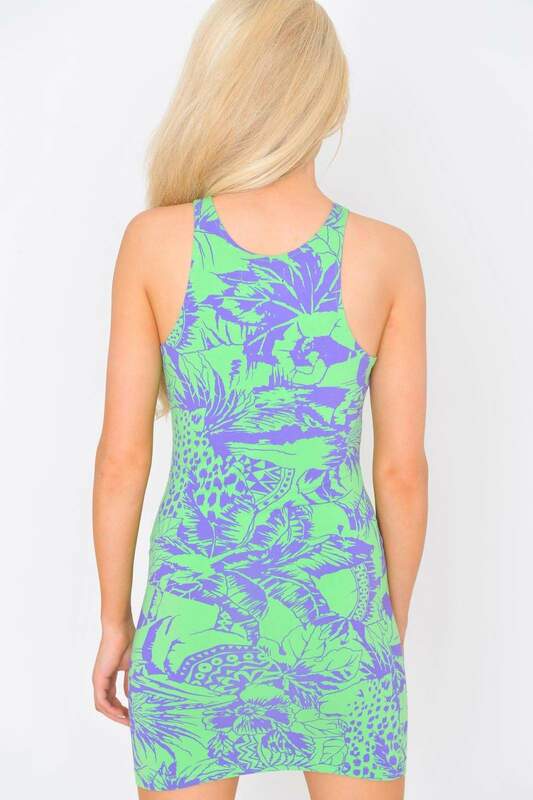 This form-fitting dress features a round neckline, exposed racer back, sleeveless styling and mini cut length. Team this gorgeous wardrobe staple with a silver cuff and some flatforms for an ultra cool stand out look.